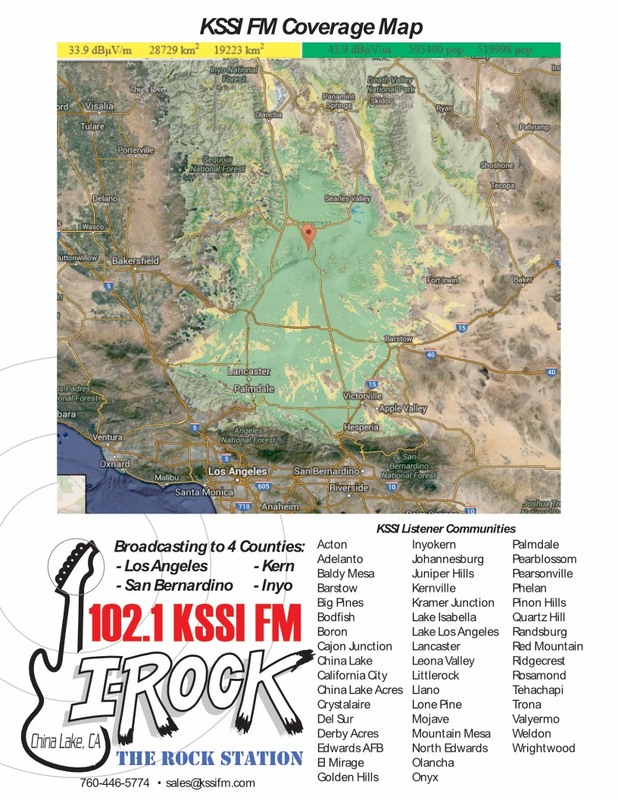 KSSI now reaches more listeners that ever before thanks to our power upgrade. Look at all the green areas on this map! We reach 4 counties and dozens of communities in the High Desert. Make KSSI your advertising choice. More listeners for you money.